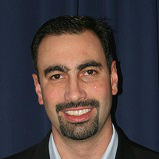 Mike Schutz is a Senior Director in the Server and Cloud Platform Marketing team at Microsoft. Mike is responsible for Product Management and Product Planning of the Windows Server family of products and the Windows Azure Platform Appliance. His team helps define the business and product strategy for Microsoft's Windows Server and cloud computing offerings. Mike has been at Microsoft since 2002 in various product management, product marketing and product planning roles. Prior to Microsoft, Mike was in R&D and Marketing leadership positions in several private and public technology companies.